A classic, layered chain crafted from 9ct white gold. A timeless piece of neckwear, ideal for layering or as an understated touch of gold. 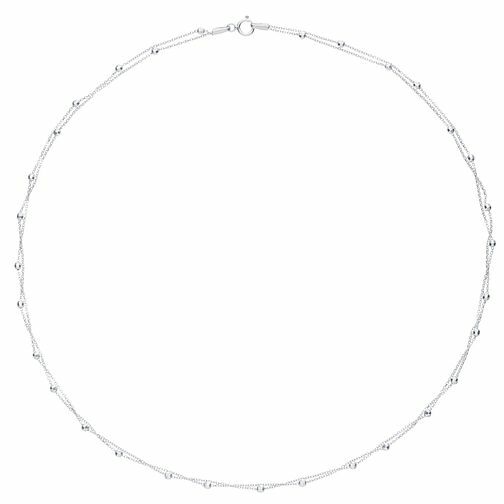 9ct White Gold Layered Stationed Necklace is rated 4.5 out of 5 by 2. Rated 5 out of 5 by Anonymous from Great for everyday wear I wanted something simple to wear and this is perfect. Goes with anything, not too fussy, but just enough sparkle to feel special. Great delivery service too, right to my door within the period expected.